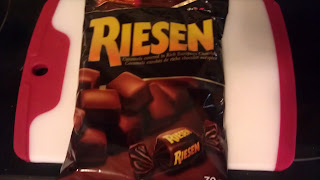 And the Riesen is you. 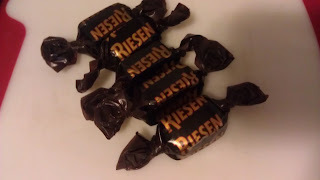 A long time ago, not like 50 years, but a solid twenty, I remember them coming out with Riesen candy. 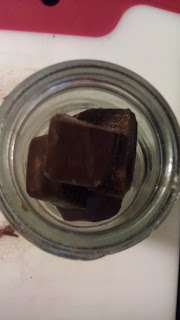 It is a candy that had a dark chocolate outside, with a toffee inside. The idea behind it is that it was a candy marketed to the older crowd. I think. I am not sure. I'm drunk now. Here is the magical bag that they come in. It's not a perfect bag, but it is a bag none-the-less. I decided to go with five, mainly based on the size of the vessel. That and I could do a cool looking shot like this. 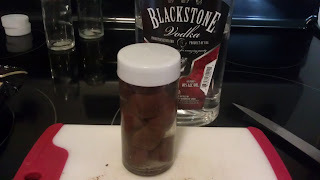 Since there is chocolate on the outside, and toffee on the inside, I knew I had to cut them open, otherwise the vodka could never dissolve the sweet sweet insides. I learned this from doing the Mars vodka, so it was quite important. Here is a nice top down shot of how they looked in the container. Now we just need to add some Blackstone vodka, and then wait. 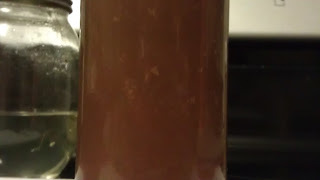 It takes a week before you can consider drinking it. It requires quite a bit of agitation to try and get it to this level. 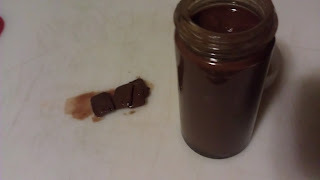 If you let it sit, it will begin to have the chocolate floating at the top. 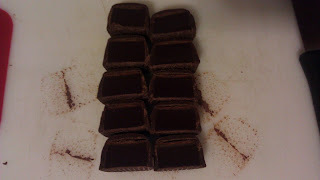 Here you can see tiny chocolate floating bits. 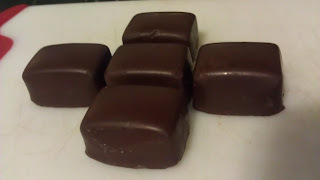 It ends up looking like this, with large and chocolate bits inside of these as well. The flavour mixture that this creates is a bit of a chunkier drink, which isn't really the best for shots. It was a bit more work than I like doing as well, which doesn't do it a favours. All in all, it's mostly a bit of a fail, unless you want to let it blend for a solid month plus. When making these drinks have you noticed a difference using vodka vs rum? P.S. Hats off to you for the russian vodka ban.